Yay, a brand new mem to join in! Visit the lovely and talented Julia at Daisy Girl Adventures to join in on You have Mail – Crafty Mail! 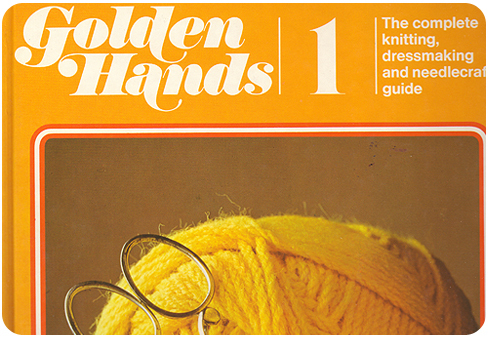 I haven’t received anything crafty in the mail lately, so as we can also use crafty things that we have bought, I thought I would use my collection of Golden Hands books (18 in the series) that cover knitting, dressmaking and needlecraft. I love the range of projects and the graphics used throughout the books. The series was published in the late 60s and early 70s. I was very excited when I saw the complete set at a secondhand book sale! I plan on using the books to learn new knitting & crochet stitches as well as to guide me as I learn to use my sewing machine. 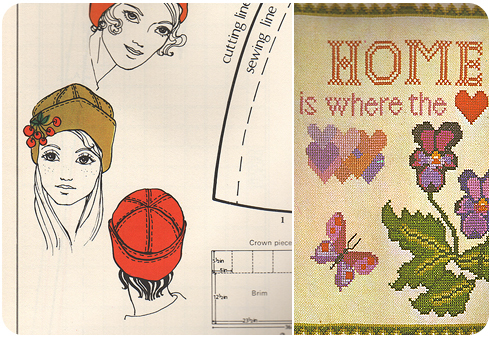 There are some good step-by-step guides and pattern tips which I hope will make things a little clearer. Have you received some crafty mail or purchased crafty goods? Join in! oh my gosh, how cute are those books!! Love them. I love the illustration styles in older books, that is half of what attracts me to them. They are cute, I agree!